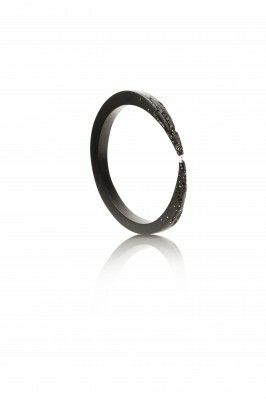 Specialising in contemporary Whitby jet jewellery. Hiatuses inform my aesthetics - the breaking up of a bold, fluid form is central to my work where fractures, fissures and crevices release a luxurious cascade of textured gold or glittering diamonds. 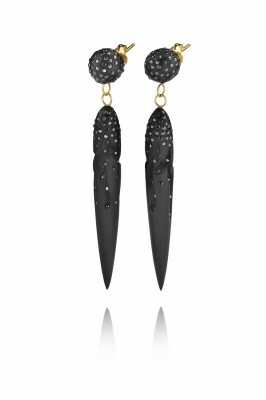 Jacqueline Cullen specialises in contemporary Whitby jet jewellery. Jacqueline is inspired by dramatic acts of nature, a placid sky ripped open by a slash of lightening, a volcano erupting, a cliff edge left jagged from erosion. 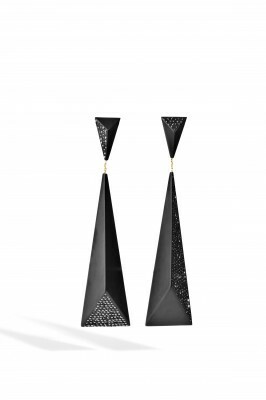 Jacqueline Cullen specialises in contemporary Whitby jet jewellery which features luxurious cascades of textured gold or glittering diamonds.